Lions Clubs are part of community life, in the cities and in the country. Clubs are easily identified by their distinctive Logo, the trademark of our International Association and the 'We Serve' motto. The activities of the Tewantin Noosa Lions Club over the last decades include the following events and projects, many as annual repeats and we are actively involved in raising funds and helping out where we can. It is fun, and great friendships are made within the club and the wider community. Noosa Biosphere Limited: Tent Hire, services and catering for the annual Biosphere Festival held at the Noosaville Lions Park, Gympie Terrace in September. Noosa District Junior Rugby League - loan of vans for event days and ​assistance with catering. Catering for the Cleanup Australia Day Campaign April. 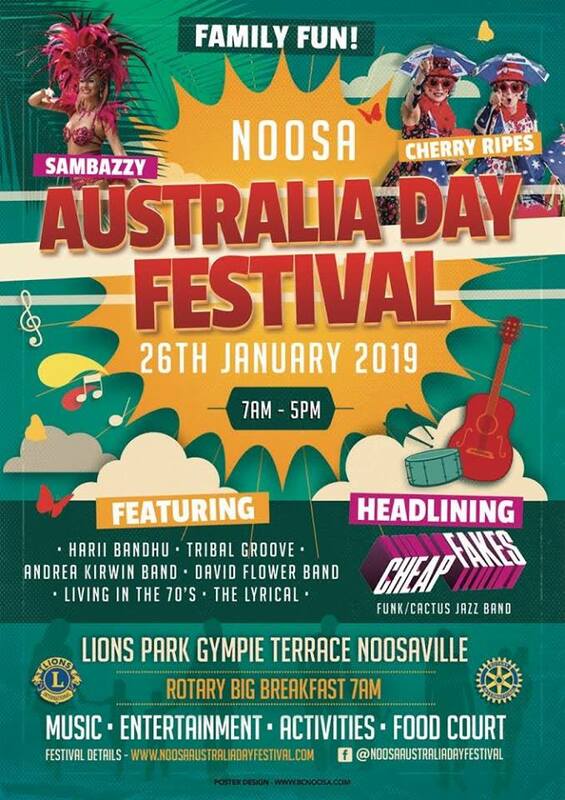 Joint organization at the Noosa Australia Day Festival: Entertainment and family fun with the support of the Noosa Shire Council. Sunshine Coast Community Hospice assistance. Provide assistance for the annual Council car parking at the Noosa Heads Lions Park, Noosa. Identified local families and needs are assisted either with the provision of labour or funds to support the particular need.